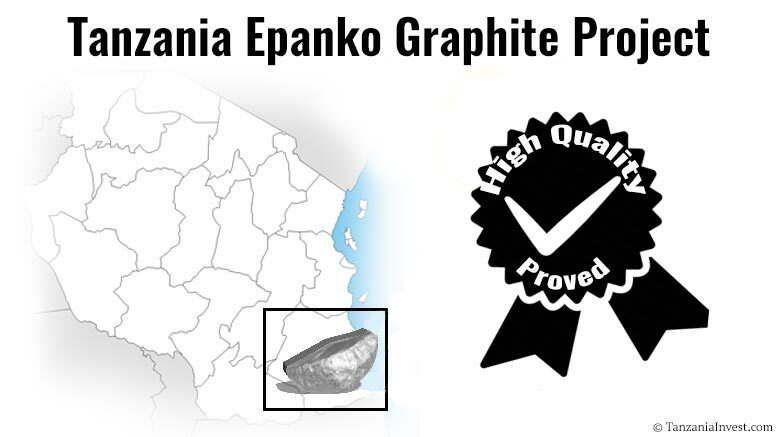 Australian graphite developer Kibaran Resources (ASX:KNL) announced that latest tests prove the high quality and commercial value of graphite from its Epanko project in Tanzania. The tests further indicate that the Epanko graphite is suitable for usage in cutting-edge technologies. “These results are important because not only will they help determine optimum processing routes, but they will also assist in maximizing sales prices,” Kibaran’s press release indicates. Kibaran recently started studies on expanding the production capacity of the Epanko Graphite Project by 50% from 40,000 tons per annum (tpa) of graphite concentrate to 60,000tpa. Kibaran decided to start the expansion studies after securing binding agreements covering all of the project’s 40,000tpa forecasted production. Kibaran already has binding agreements for 20,000tpa with German company ThyssenKrupp, 10,000tpa with European graphite trader and 14,000tpa with Japanese trading giant Sojitz. Tanzania’s largest graphite deposits are located in the central and east southern regions of the country. Graphite discoveries in Tanzania come mainly from Australia based graphite developers, Magnis Resources (ASX:MNS), Volt Resources (ASX:VRC) and Kibaran Resources (ASX:KNL).